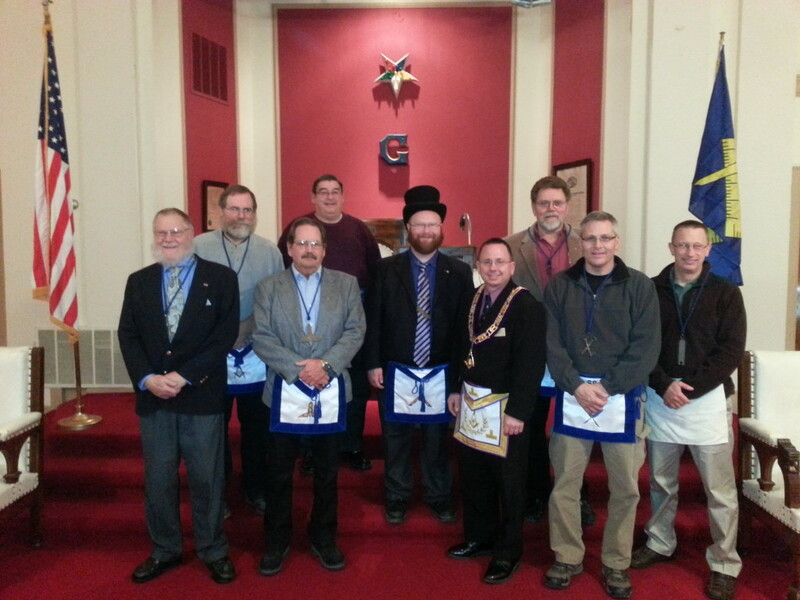 Fulton Lodge № 69 held its installation of officers on Wednesday, December 2, 2015. WM Erik Nielsen of Benjamin Franklin № 83 acted as installing master, and W. District Deputy Grand Master James Gajdosik acted as installing marshal. Visitors from several area lodges were in attendance. Dinner and fellowship followed the installation. In the photo left to right: Glen Witt, JD; Mike Green, SD; Bob Bradley, SW; Leroy Huber, Counselor; Adam T. Witt, WM; James Gajdosik, Installing Marshall; Roger Amundson, Tiler; Kevin Masanz, Secretary/Treasurer; Michael J. Penyak, III, JW.